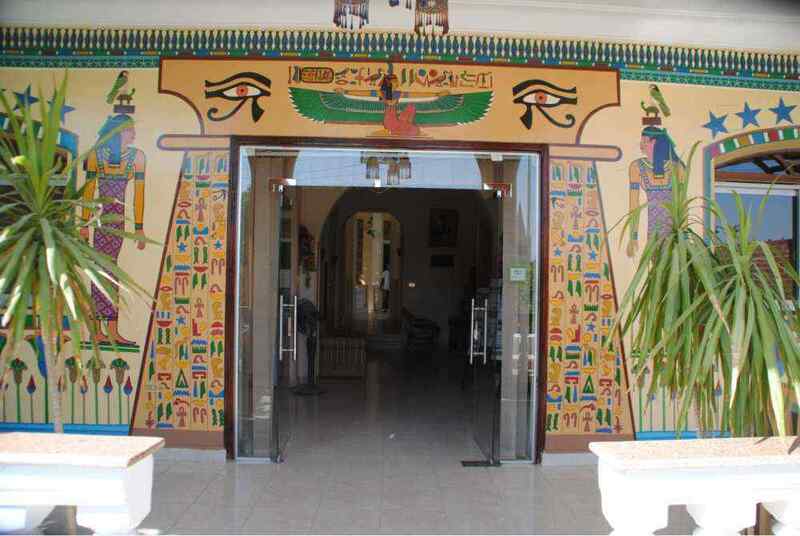 El Mesala hotel is the only hotel on the West Bank to be built facing the Nile and offers spectacular views of Luxor from the majority of rooms. We have 17 rooms, 10 with views across the Nile, and our 2 ground floor rooms, which have disabled access, have a garden view. We also have 2 family rooms - mini suites - and a holiday apartment for larger parties. All rooms have en-suite facilities, air conditioning and are equipped with satellite television, telephone, and a refrigerator. Our guests can enjoy their complimentary breakfast on the roof terrace with stunning views of Luxor. Room service is available from 9:00 AM to 11:00 PM. Guests may use their in-room telephone to place their orders. Our swimming pool is available for all our guests, free of charge. Equipped with sun beds and complimentary towels, you can spend all day enjoying the sun and fresh juice from our pool-side bar. Complimentary wireless internet is available throughout the hotel. All guests are also welcome to use our community computer in the lobby free of charge for 30-minutes per day. The hotel has a large reception area, lavishly provided with comfortable sofas and chairs, for your relaxation.